Synaesthetes will get this immediately – smells are like different instruments. Vetiver is a guitar, or cello if it has that hard to get coarseness. Vanilla is a soft drum. When it comes to perfumes, M for Puredistance, to me is one single clear sound. A bit surprising, even to me, as it is obviously a complex composition. This is haute parfumerie. You embrace the effect of the fragrance it is hard to grasp what kind of chemistry, poetry and magic led to this particular full-bodied gathered sensation. You can read about the notes, yes, but this is a bit like when professional communication people talk about how planning is just not the same thing as research or insight or business intelligence. Planning is connecting the dots and not only drawing a new map, but in fact creating a new destination. M is like this to me. It is Perfume with capital P and I almost feel like it does not want to be dissected. It is what it is. During this last week at Grasse Institute Perfumery we could bring perfumes from the market to class and I chose to bring this one. 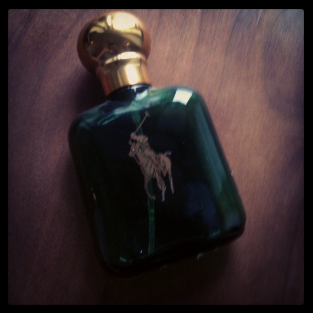 It is a perfume I like, admire and wear and I enjoy the enigmatic feeling it gives me. I have read about the thoughts behind the creation but I am not quite able to connect with the leather and Aston Martin that is described. So I thought it would be fun and interesting to hear the thoughts of my classmates and our teacher. M makes me think about this: what is luxury? What is “luxury” in a global and globalized market, in 2013, in an age of brands and concepts, in a business where profound artistry and hungry prestige keeping mixing their choreographies… In an age where the chase for what can be bought sometimes goes all bulimic only to give birth to businesses that offer what cannot be bought, such as the feeling of holding time for a moment – what is luxury? Is there any objective luxury? What exactly is it that discretely communicates it when you can’t see material or feel texture? How do you get to the feeling that what you are smelling is something that did not give up, yield or lean back but kept refining itself until it was really special. I avoided reading about M or Puredistance before trying it. Did not check reviews, not prices, not noses or notes. I was not at all prepared for the sensation that awaited me. I am quite fascinated and intrigued by what it is that makes this perfume feel so very refined. When I wear it I feel like it is jewellery. It is the kind of accessory that frames everything in a kind of unquestionable elegance. There are things, they can be bracelets or shoes. Maybe a bag, but I prefer an example that has skin contact. Items that accentuate something sublime in the character of a person, and make them belong anywhere you want to. Not like a mask but like an aesthetic firmness that I believe has to be carried by something inside you but accentuated by something on the outside. It is not about price (have we not seen to many of those misconceptions walking around the various catwalks of life), to me it has much to do with clarity. Like a good handshake that does not try or want to disguise anything. Sashimi. A perfect white t-shirt. But in this case – olfactory art. 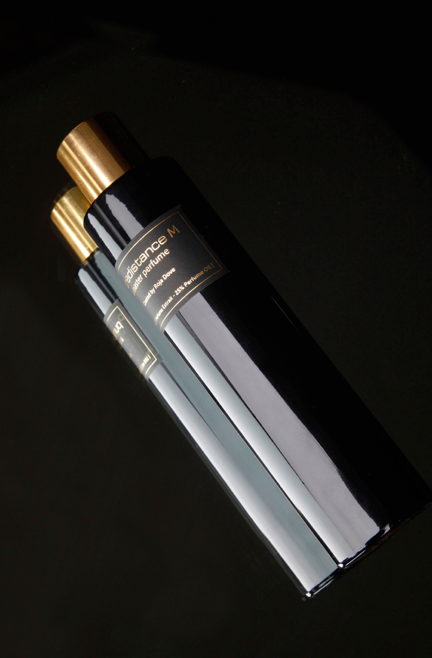 Puredistance is about to launch a new perfume soon, Puredistance BLACK, I am very curious about it. From what I know it will be very close to the skin and I think there will be some interesting raw material choices though it seems these in line with the concept for the perfume will be kept secret. The nose is French perfumer Antoine Lie. If you want to read more about the nose behind M, it is master perfumer Roja Dove. Recently he wrote a diary for FT How To Spend It that it is very nice and entertaining reading. For more on perfume and luxury I also recommend this excellent interview on perfume blog Eyeliner on a Cat with natural raw materials master Mandy Aftel. Mandy’s eloquence is as striking as her creations. In the interview Carrie captures the Aftelier way perfectly: “Mandy Aftel of Aftelier Perfumes is known for having the soul of an alchemist that deftly guides her hand in the creation of her perfumes. Her aesthetic is mesmerizing and her taste uncompromising; Aftelier final products typify of artisan luxury, from concept to execution.” For some of my reflections around Mandy’s work I invite you to read this post. So, this one will be entertaining for some of my friends at Grasse Institute of Perfumery I think, as they have been part of the process and we have had some real laughs while I describe ideas and blush regularly… One of our projects during the course has been to develop a fougère. Fougère means “like fern” and is a fragrance family, the name comes from the perfume Fougère Royale by Houbigant. 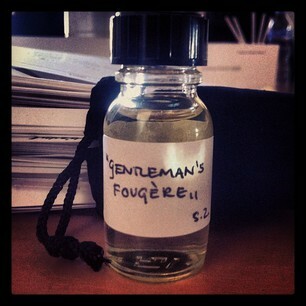 A fougère has an aromatic top note accord with lavender and a base with oakmoss and coumarine. An aromatic fougère also has additional herbs, spice and wood. Our fougère base that we worked with in class had a lot of vetiver and bergamot. We all made the same base and then added notes individually so we ended up with eleven very different fougères in the end. We have then reworked and developed our creations during the course of the next days to find the exact right proportions. Fougères are normally fragrances for men and I took this opportunity to experiment with a note that I have been thinking about for many months after I smelled it in a shop in Stockholm last year – fennel. Fennel has a certain kind of spicy, green, somewhat affirmative, freshness that I find very elegant. So I was very happy to see that we did indeed have fennel in the lab and that after an initial short analysis, with the help of scent strips, it did feel right. I decided to create a brief for myself that was to create a fougère that would be the olfactory reflection of a man that I would like to get to know. In order for this brief to be of help I needed to define this man and some characteristics a bit more, so that I could find the corresponding notes and olfactory details and effects that would be a correct portrait. So, this is how I described this man. He is a man with a past, but with a young mind. Classic look with a twist. A liberal mind that likes to explore. He likes to read, both lines and space between them. For this fragrance I picture him on a Sunday afternoon in a big city like London or New York (he could be from anywhere though) reading the newspaper supplements. He has done some sort of sports activity before so he has just showered and changed his clothes which means he is fresh but with an increased pulse and blood flow. It is an intelligent person, intellectual, a home-brewed mix of books and life experience. Sometimes maybe just a little bit irritating when he gets into an encyclopedic mood (I have a weakness for men who know a lot about a lot). It is a men that knows social rules and how to use them to navigate through different contexts, polite and with poise, extrovert but not desperate for attention. He has high-quality leather or suede shoes that are not new (important detail) and he will sigh out a heavy burden in a moment and then, just as naturally, burst out in childish laughter the next. This man’s rainbow has many colors and you will never entirely know him but he is good company for all sorts of challenges and adventures. There are many other aspects and details of course but these are a few examples just to give you an idea. Now the translation to notes. The raw materials I first used apart from the fougère base were: nutmeg, clove, fennel – and then a tobacco, vanilla, vanillin accord. The fougère base gave the freshness of the body and mind of this man, but also the classic aspect. The tobacco represented his experience and the casualness of an old leather reading chair. The perfect tux with a cigar. The spices were to give a freshness that is a bit coarse and with integrity. The vanilla gave the kind of softness that symbolizes the relaxed intimate feeling of a Sunday when there is no professional pressure, but also a warm heart with genuine intentions. It was important for me to use natural vanilla as this raw material has that combination of softness and unruly dynamic. Soft but not sweet. Smooth but not really trying to please. Sensual in an innate unpolished way, like an equatorial night sky surrounded by sounds of nature kind of way. When my first formula had gone through maceration and the raw materials found their place I felt that the feeling of the fragrance was a bit too soft and light. It was too babyface. I needed more hairy chest kind of thing, maybe also some closeness to nature, a primitive (primordial?) aspect. So I increased the vetiver, the tobacco and added a difficult one – birch tar. Tiny tiny drops, one drop too much and the formula would be destroyed. It would go completely wood chopper groin sweat and lose the pocket square. Then I left the fragrance to go through maceration again and smelled it after a few hours. Perfect. I really like it myself which is an essential aspect for this particular idea of course. Now I just want to find the gentleman that is the real life reflection of this fragrance. If you have an idea of who it might be, do let me know. 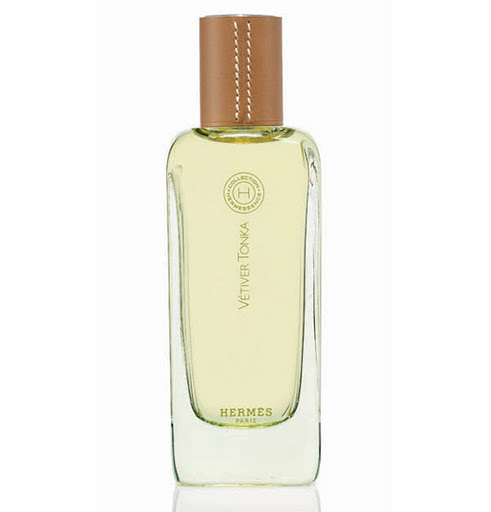 I find it interesting that of all the Hermessence fragrances it seems quite apparent that Vetiver Tonka is the most popular one. Not so surprised that many would like it because it is really sublime, but rather perhaps that it makes so many different types of personalities feel really comfortable in it. Personally, I find it extra-ordinary so I am definitely one of the fans. I love having this fragrance on me. It is so elegant and so well-balanced in its presence. But not only that, it is also a fragrance with a lot of integrity and definitely has a little playful or mysterious twist. Maybe it is that perfect mix of extremely being comfortable but also unusual that makes it attractive so many of those who try it. It is not very famous though, outside perfumista circles. Some facts. 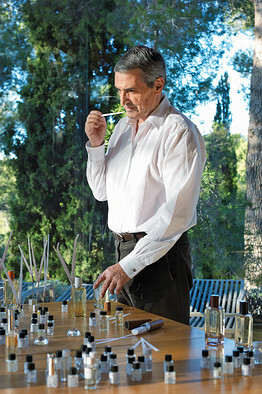 Vetiver Tonka was created in 2004, and by Jean-Claude Ellena naturally. In an earlier post on vetiver, I mentioned that one of the things that make it so interesting is how different one vetiver is from another. (If you want an example, find a sample of Vetiver Tonka and one of Le Labo’s Vetiver and you will experience the versatility of vetiver). Not only because of what it is combined with and how it is used in the composition of a fragrance, but also depending on its origin. I find it a fascinating note, vetiver is to me full of contradiction and has a strange kind of depth, tension and coarseness that makes me think of traveling and in particular taking the taxi from the airport late at night in an unknown place and then driving through landscapes that smell of a cool sky but a hot ground. I have no idea exactly where this idea comes from, what specific situation or place but that’s how I feel about vetiver. In Vetiver Tonka, after The Great Zest that introduces it, the vetiver is wrapped in a soft cashmere hue created by the tonka bean. Some describe the tonka as adding an almost gourmand aspect to this perfume but I don’t feel that at all. On my skin it never becomes really sweet. It just lingers playing its textures. And it’s just so very sophisticated. Scents and memories are lovers that never part. We can be interested in perfumes or not, enjoy or even notice the smells in a kitchen or not – but we can never free ourselves from the psychological effects of scent impressions. Which is such a good reason to embrace that and really indulge in our own private scent stories, adding olfactory details to important experiences etc. This summer I wrote about weddings and scents, how a symbolic scent will add sensual pleasure to such an occasion but also help you return emotionally to it in the future. I know I am not the only one with olfactory childhood memories, like in my case for example this and this one… we all have them, some good and some bad – so if you are a parent think about how you can give your child future treasures in the form of scents that will bring back precious memories to their adult self. If you want some ideas or suggestions on this, you’re welcome to contact me. I remember when Swedish newspaper DN featured an article about my blog this spring I received a letter from a woman asking how I thought she could help her daughter develop her scent awareness and what they could do together, like olfactory adventures. I loved that e-mail. Scent and memories are like the air and the wind, and they clothe the bond between the present and the past of the senses like few other impressions can. Maybe even erase it. The mind reacts to the scent of an absent person’s sweater or scarf to a large extent in the same way that it would if the person was there. For someone like me who has an ambiguous feeling towards time as a concept, this is fascinating. Two weeks ago I was going through my storage. I have a Dad-box. My father died six years ago, exactly six years ago. On the 16th of September, it was a Saturday that year. He died in an accident. Suddenly he was gone. I have lost other people that I loved, like my grandparents, but then their things and worlds also disappeared, much more than in my father’s case. I thought it was extremely bizarre and painful the way he was suddenly so very gone but all the things and scents and smells – that I had never previously even been aware of – were left with me. The food in the fridge, the oceans of books, his car, his cigarettes, the laundry that I had to take out of the washing machine. Everywhere that smell of a person who is just not there. At that time it just made me sad, or maybe it made me tired because of the conflict between presence and absence that it created in my senses, and tired and sad were synonymous feelings. For the next years those smells disappeared. And then now, cleaning the storage, finding the Dad-box, I discovered to my great surprise – because I don’t remember doing this – that I had kept my father’s perfume bottle. Seems only natural now, since my life is so much about scents, but then…I don’t remember that I thought about keeping it. I am happy that I did. That it is even possible for a scent to give you the feeling of someone’s presence or of a moment from your past is…, I know the scientific explanations and the logic, but it just is magical. Extra-ordinary. It is not exactly the presence of that person, because they are not present, the dead are gone. It is not that moment back because it is over. It is more like something in your soul gets a little “now”-place to dance in for a moment. Like you are given the opportunity to open a little box, look at it, reconnect with something that is not as close as it used to be, activate a part of yourself that is connected to it – and then get back to business. Scents give us access to feelings. To our own different inner and outer worlds. Second day with this diabolic caress. I am infatuated. I keep smelling my own skin and every time I do it smells differently. It feels like I keep chasing it, the scent. Trying to capture it. Eight hours after application only a soft basenote veil is left and you have to be very close to feel it. So I put my wrist right under my friend Fredrik’s nose. He is a photograper with a divine eye and he has been wearing Noir Epices by Michel Roudnitska so you understand… he understands. He tells me I smell like I am wearing a man’s perfume, but he says it with a smile that can only mean that it is in a really good way. Before he has finished describing his reaction the fragrance has changed again. Which gives me a reason to start all over and reapply. I have it in my pocket. I have been carrying the sample with me for two days, every now and then I have to reach for it. Love is an understatement. Fredrik leaves with arms covered in styrax and castoreum. For some reason, for me it is really about basenotes. I am obsessed with basenotes. But then I also prefer afternoons, Sundays and autumn. The dance between the resinoids, woods and glands in this fragrance intoxicate me. I don’t feel the violet at all. I feel an almond that is not there. I feel so many things and this fragrance just keeps changing. But there is a constant balance between soft and coarse. Between close and escape. This is what perfumery as an art is about. The creation of adventure. 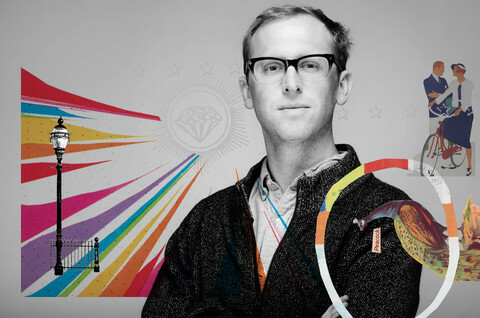 Artistry and mathematical precision in magic union. 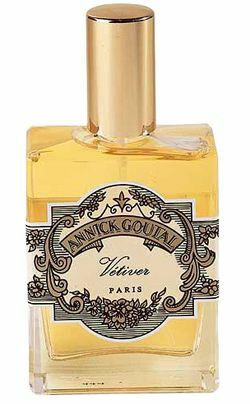 Vetiver in a perfume signals a woody note, although it is not a wood type at all but grass. Vetiver grows in India, Thailand, China, Java, Haiti and the island of Réunion (a small island outside of Madagascar – the main things I remember from a trip there 15 years ago was that there was a lot vanilla everywhere, an active vulcano and amazing fruit). The oil is brown and thick and the odor is sweet, amberesque and balsamic but also woody, smoky and earthy. The oil distilled in Haiti and Réunion has a more floral quality and is considered of higher quality. Haitian vetiver is appreciated but after the earthquakes in 2010 supply has changed drastically (affecting prices). If you look at the information about the notes in a perfume with vetiver you should be able to see where the vetiver in it comes from. For example Creed’s vetiver is haitian. Vetiver can smell in different ways, more or less sweet, earthy, smoky etc. From sweet moss to dry hay. This depends on where the grass grew but also on how the oil is processed. (The oil often goes through several chemical processes before parts of it are used in perfumes, among other things to soften the scent). You will often hear vetiver-fans discussing their particular favorite vetiver-kind. Which means – that if you are curious about vetiver and want to discover if it could be your thing – then try several ones. Try fragrances with a couple of different kinds of vetiver rather than finding one and letting it decide whether you ”like vetiver” or not. 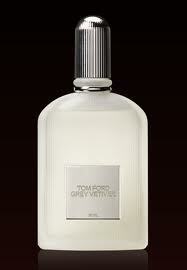 Vetiver is more common as a prominent note in perfumes for men, and often considered a classic male note. But readers of this blog know how I feel about these things… If you want to go on a vetiver-safari here are some suggestions for destinations. And then of course monsieur Ford. 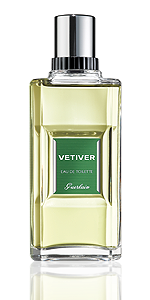 Also, I have to recommend this article by Clayton of What Men Should Smell Like about the Guerlain Vetiver Pour Elle because it is so very beautifully written.